Up market townhouse on the lower north shore of Sydney in Wollstonecraft. Close to transport by bus or train to city. 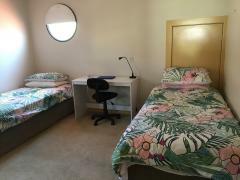 Single room with share bathroom. Breakfast and dinner daily and the internet included.